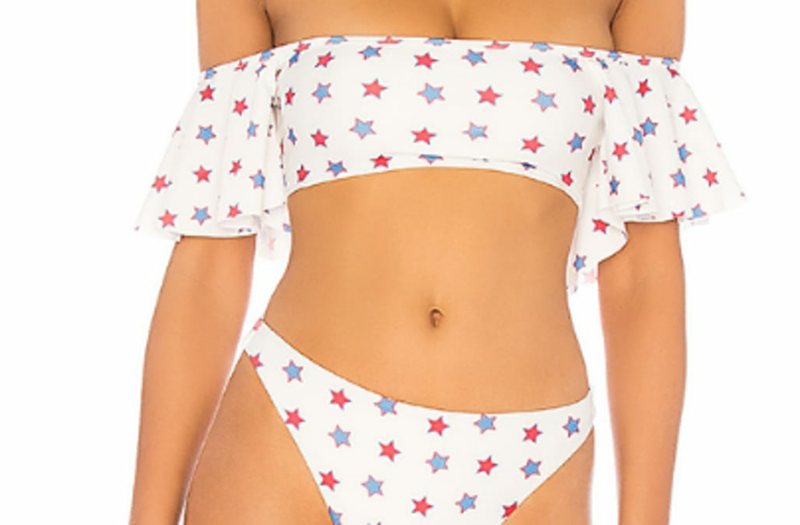 With swimsuit season upon us, there will be plenty of opportunities to sport red, white and blue in the coming months -- from Memorial Day to Fourth of July and even Labor Day! We've rounded up our favorite swimsuits -- from bikinis to one-pieces so you can celebrate America when your sitting poolside or laying on the beach while sipping a delicious summer cocktail (these recipes are our favorites). Check out the roundup below for our top red, white and blue swimsuit picks!